BNP on Wednesday alleged that the government has resorted to a ‘deep-rooted conspiracy’ over the life of its chairperson Khaleda Zia by snatching her right to receive treatment. “Khaleda Zia is still sick. The government has snatched her right to get necessary treatment. The government has indulged in a deep-rooted plot over her life,” said BNP senior joint secretary general Ruhul Kabir Rizvi. Speaking at a press briefing at BNP’s Nayapaltan central office, he also alleged that the government is repressing Khaleda mentally by not allowing her relatives to meet her. He also accused the government of harassing BNP leaders and activists through the Anti-Corruption Commission (ACC). 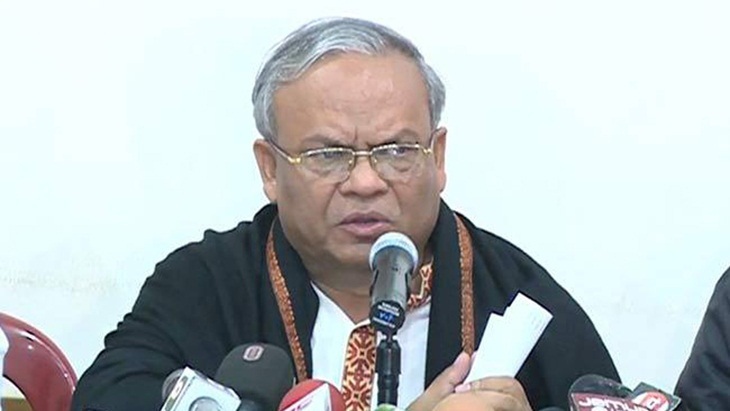 The BNP leader said though the ruling party leaders and activists ‘plundered’ thousands of crores of taka from finical institutions, including banks, the ACC has turned a blind eye to them. Rizvi alleged that the ruling party men kept repressing and attacking BNP leaders and activists and setting fire to their houses at different parts of the country since the December-30 national election. “People are passing their days amid deep worry due to the post-election violence. A tense situation has been prevailing all over the country due to the prevailing acts of terror. A serious censorship has been imposed so that the media can’t publish news on repressive acts,” he further alleged.